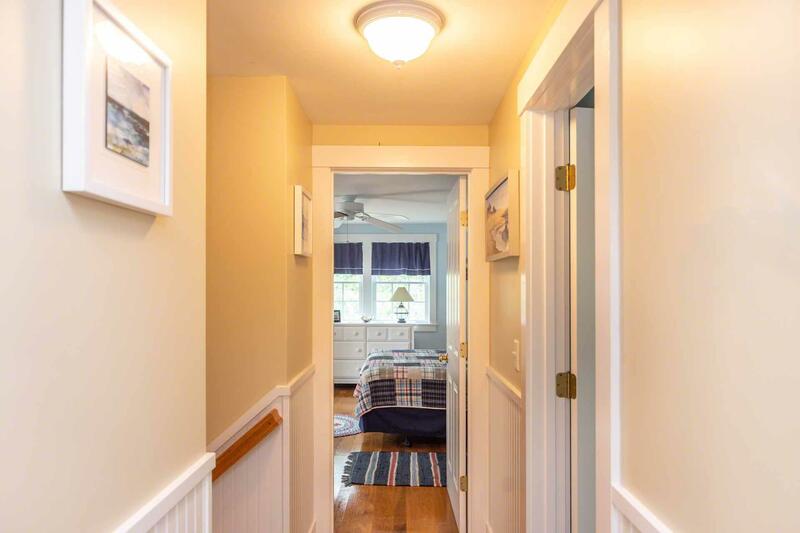 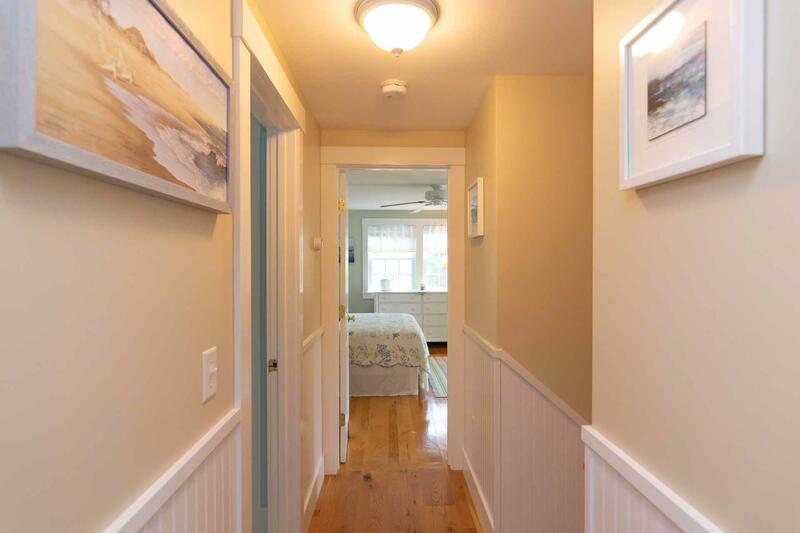 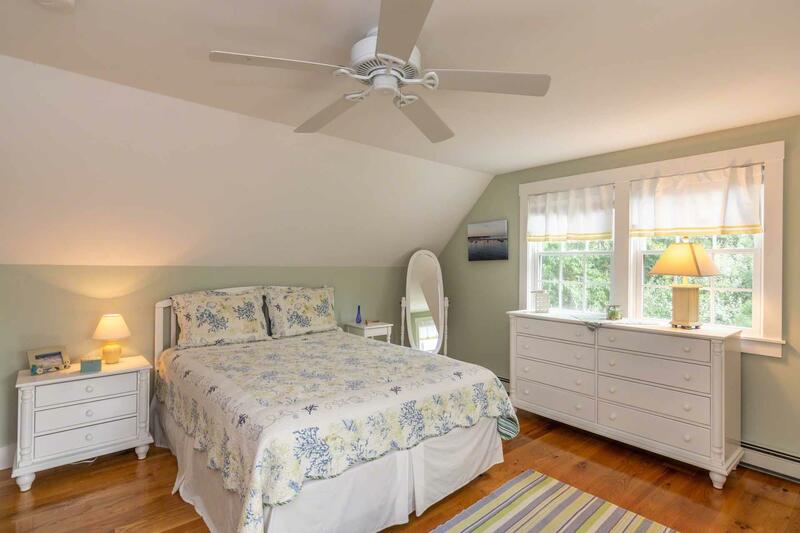 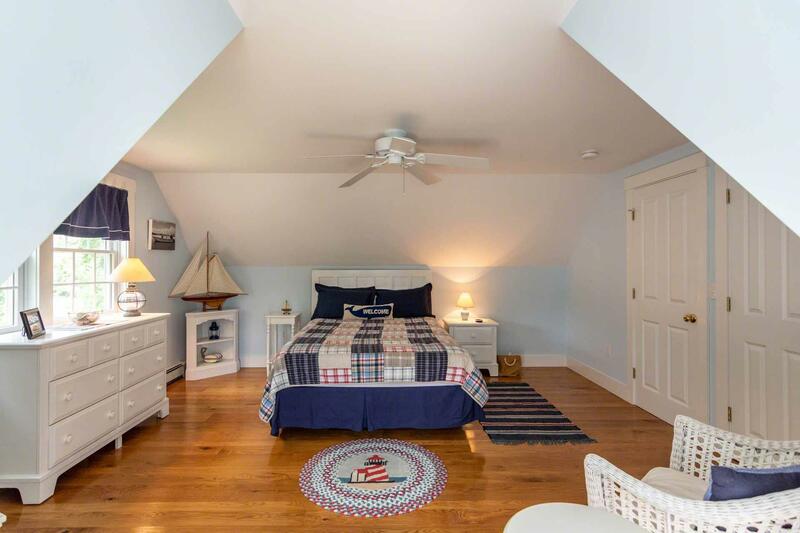 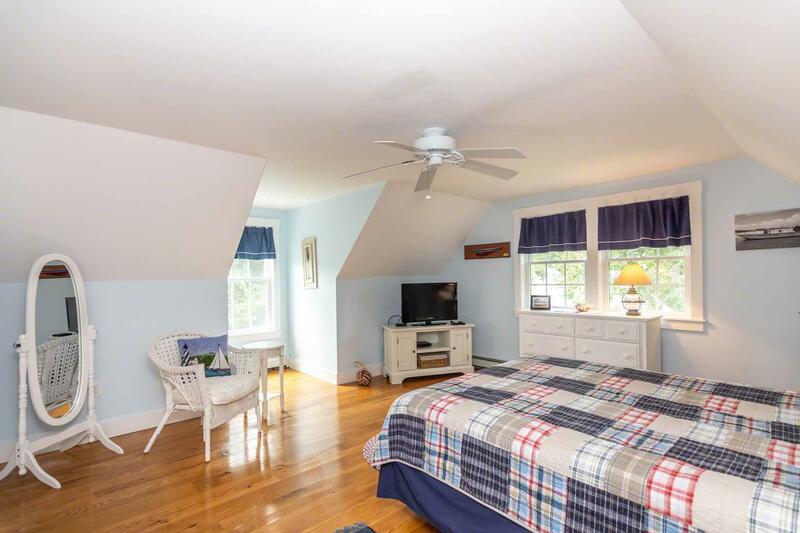 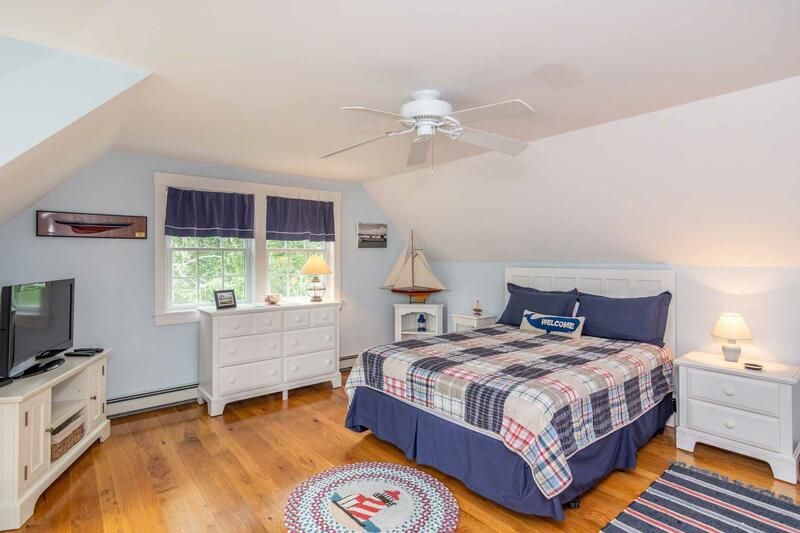 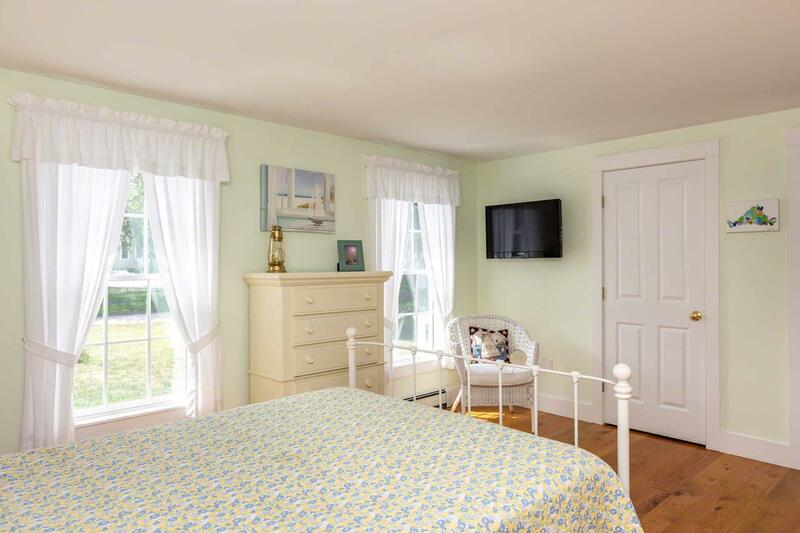 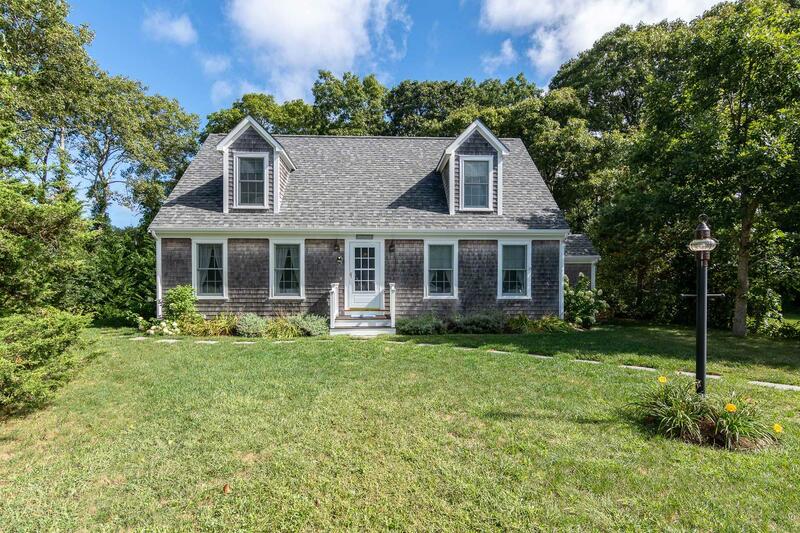 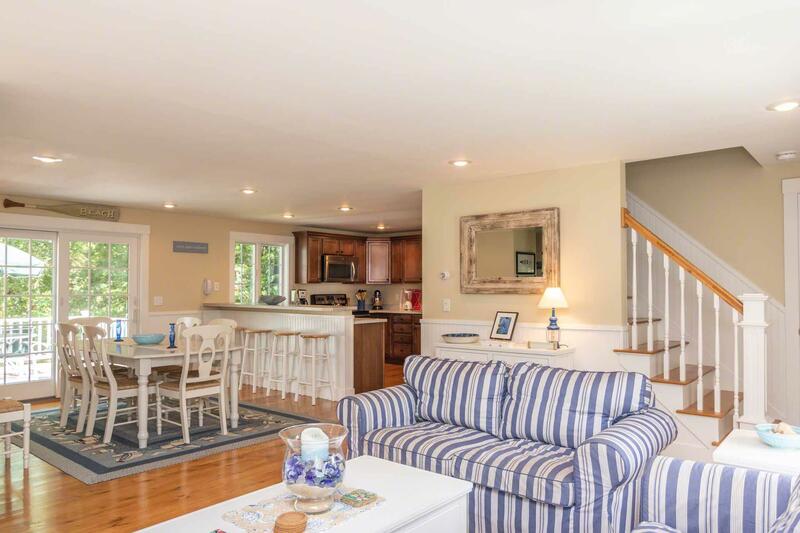 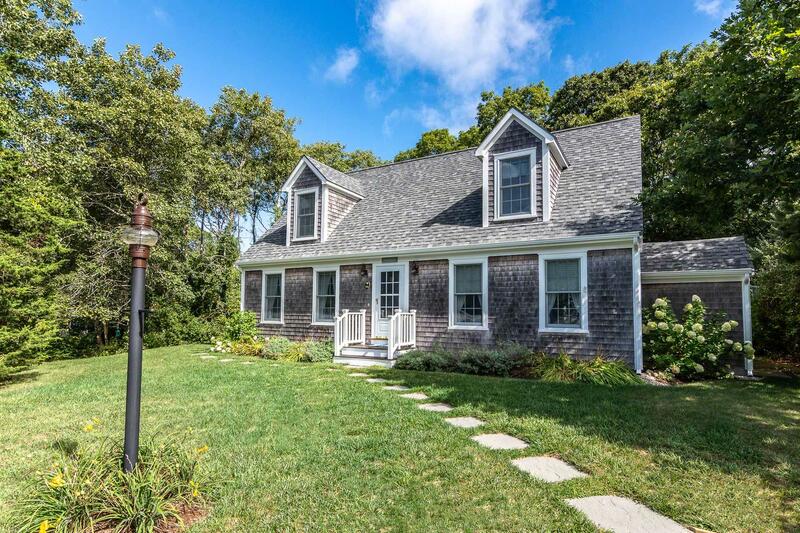 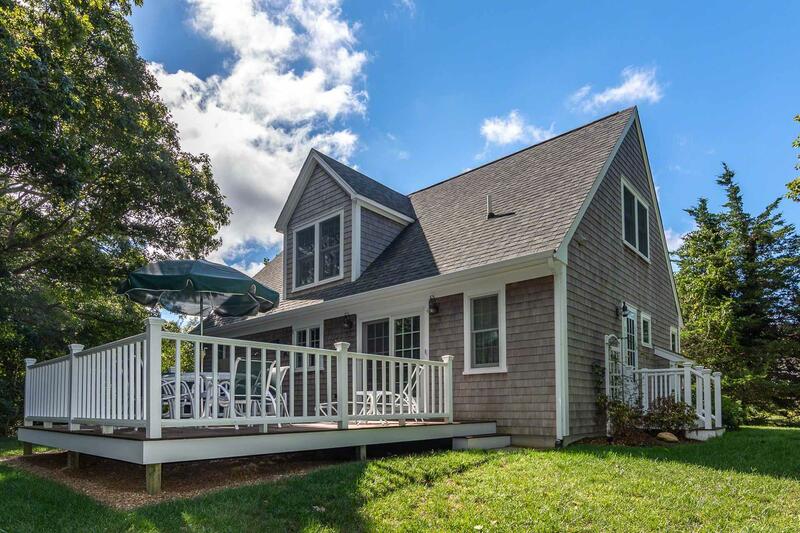 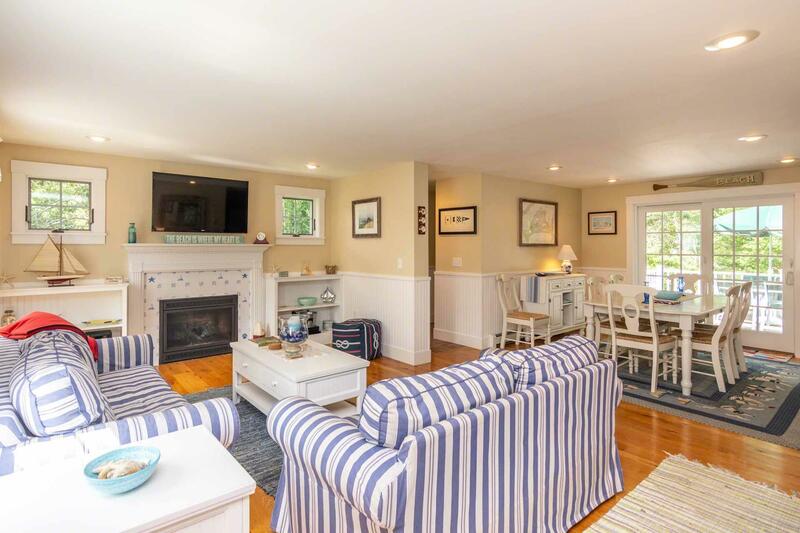 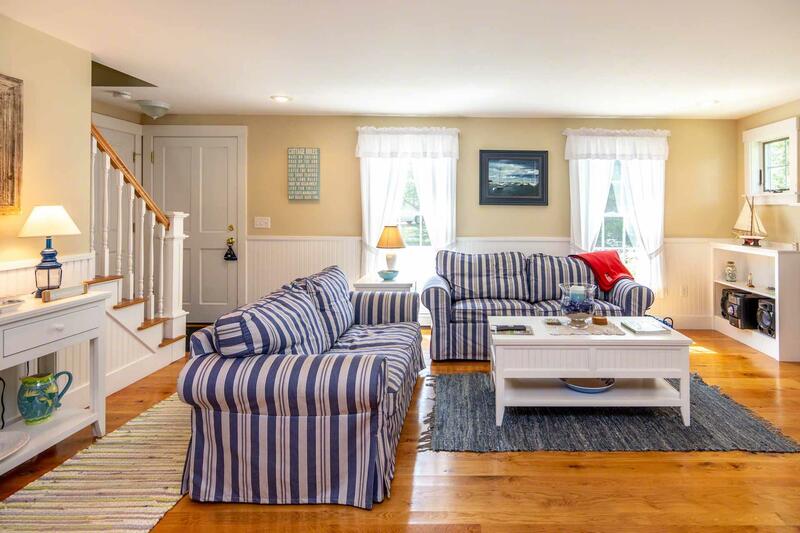 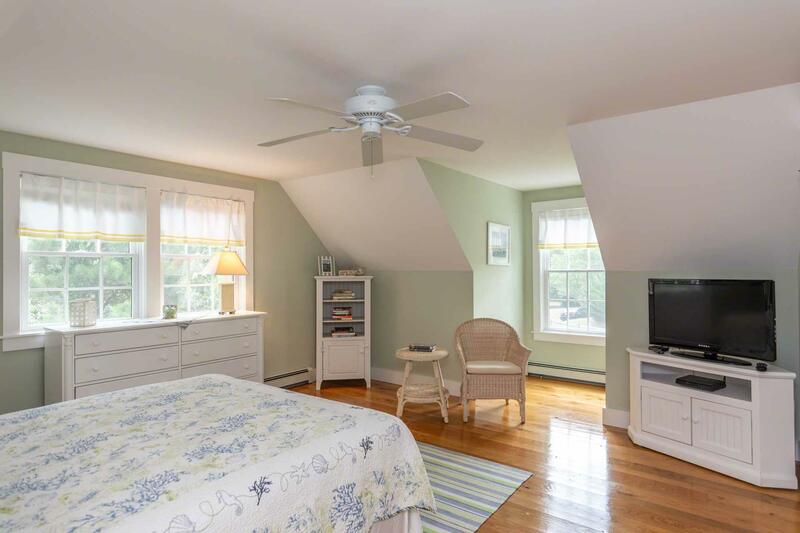 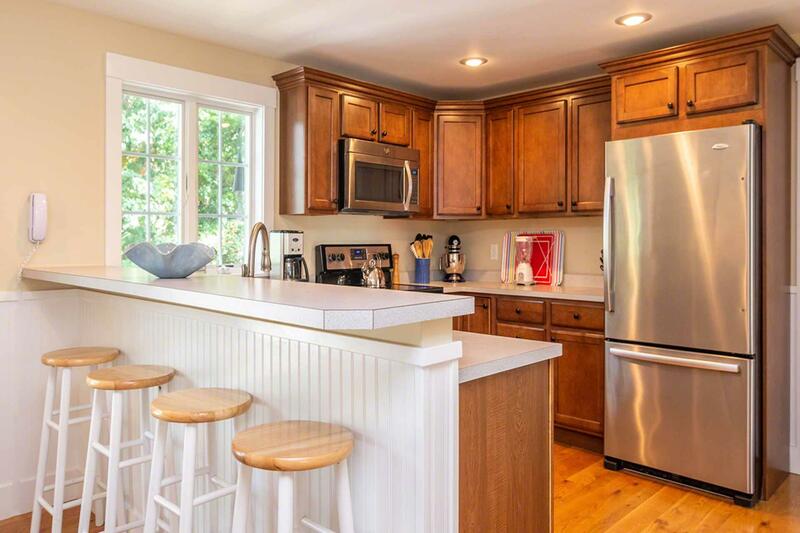 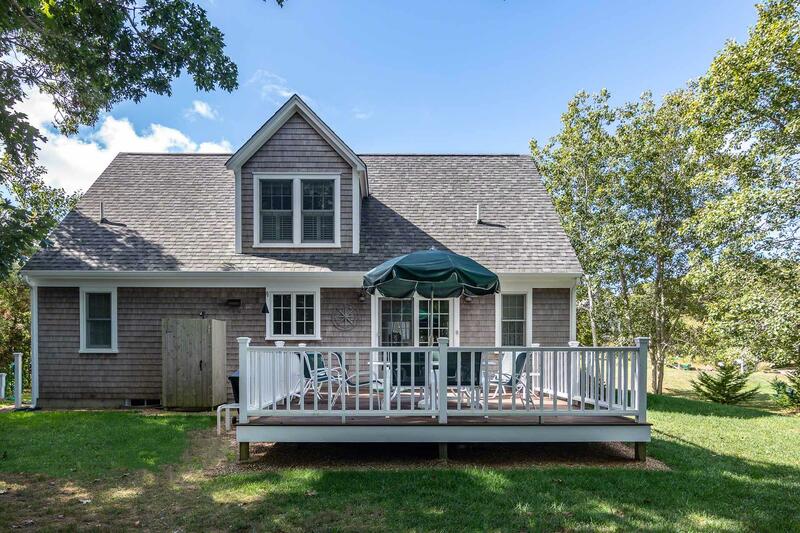 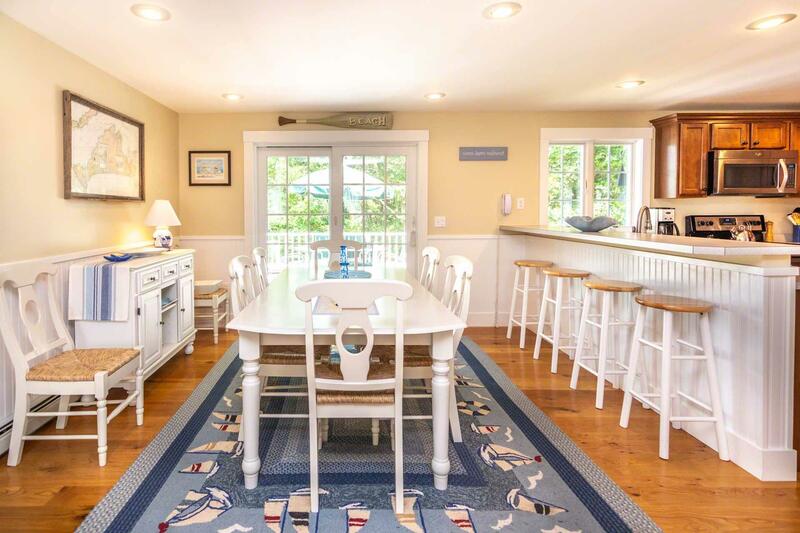 Point B Exclusive - This Classic Cape sits in a quiet, central Vineyard Haven neighborhood, conveniently located between Lake Tashmoo and downtown. 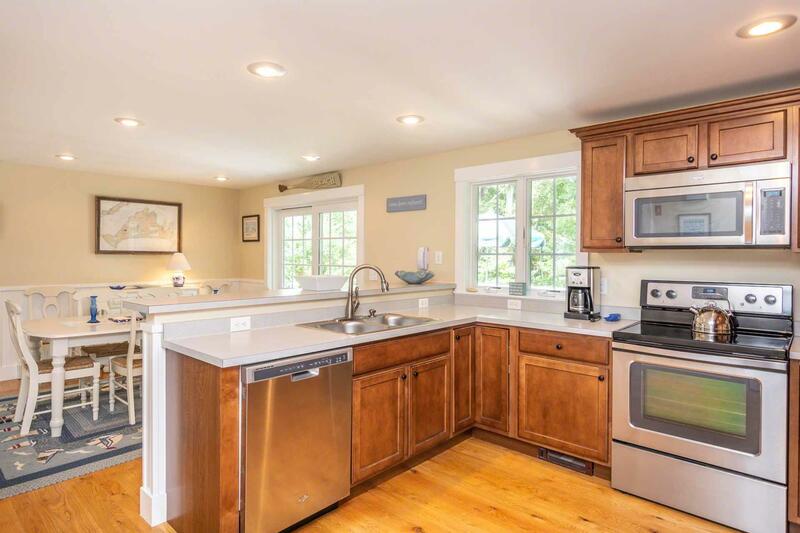 The first floor features a modern layout with open Living, Dining, and Kitchen Areas. 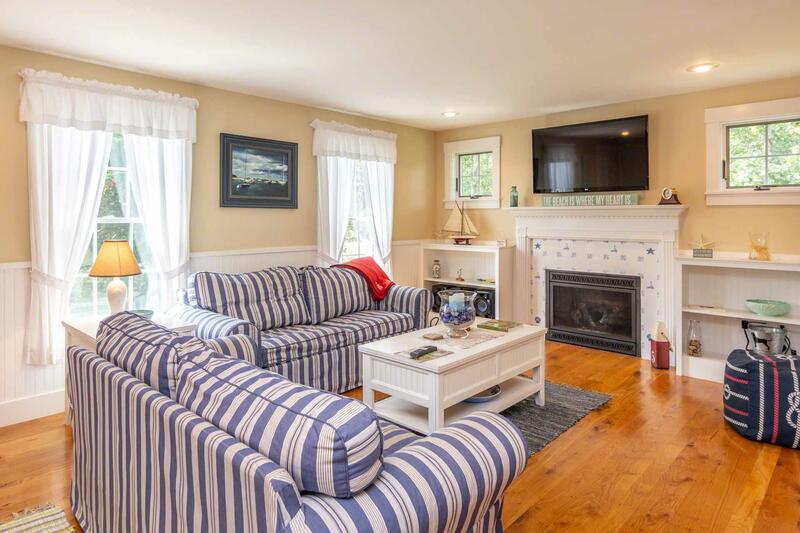 The Living Area is centered around a gas fireplace with sofa seating and a large screen TV. 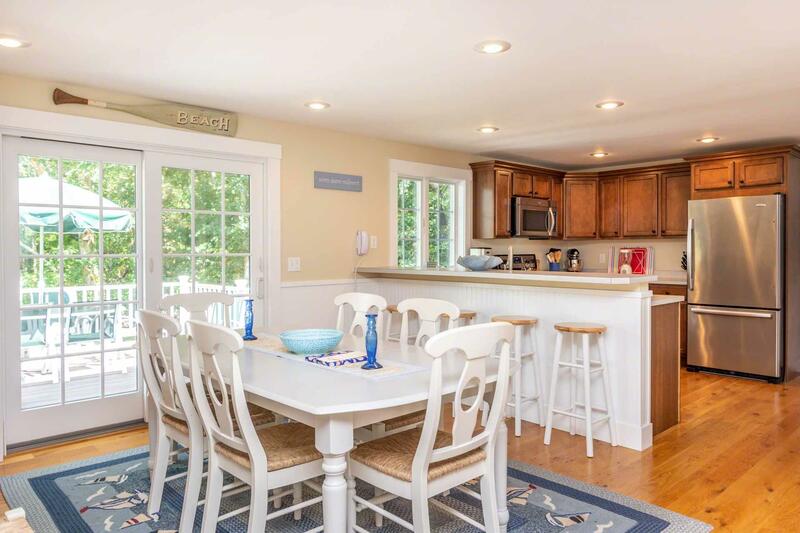 The sunny Dining Area sits between the Kitchen and Living Area. 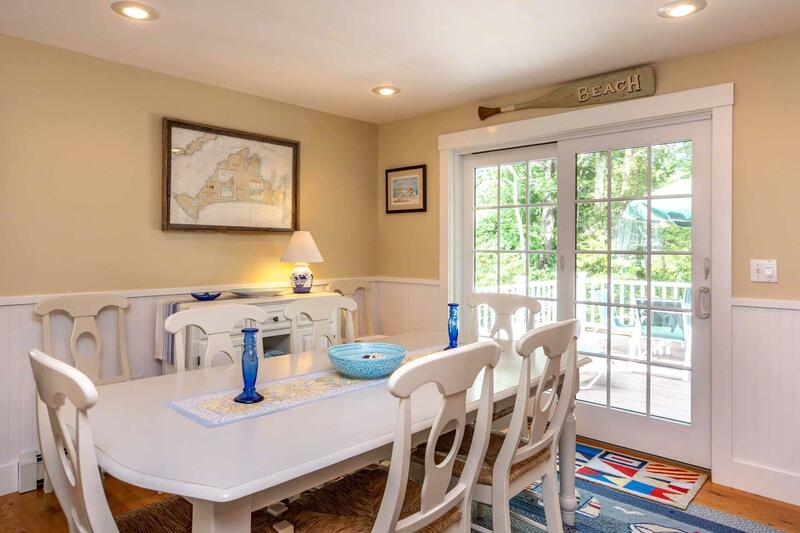 It is framed by a wall of glass with a sliding door that opens to the back deck. 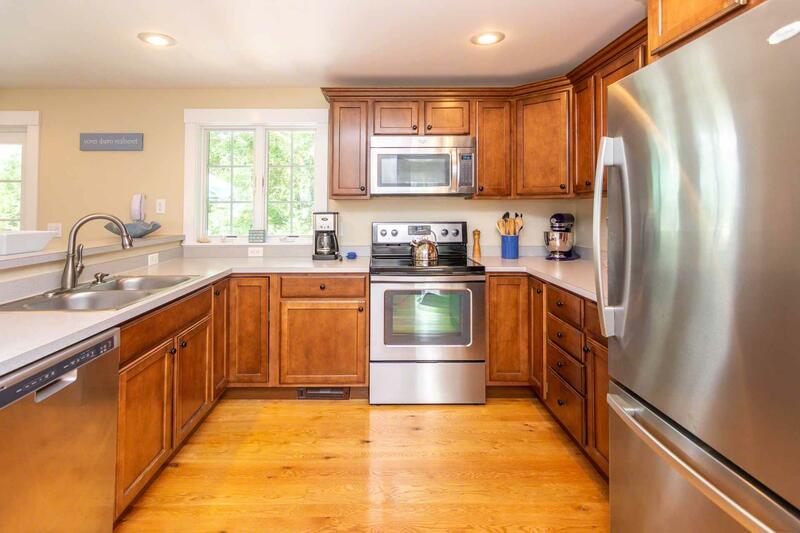 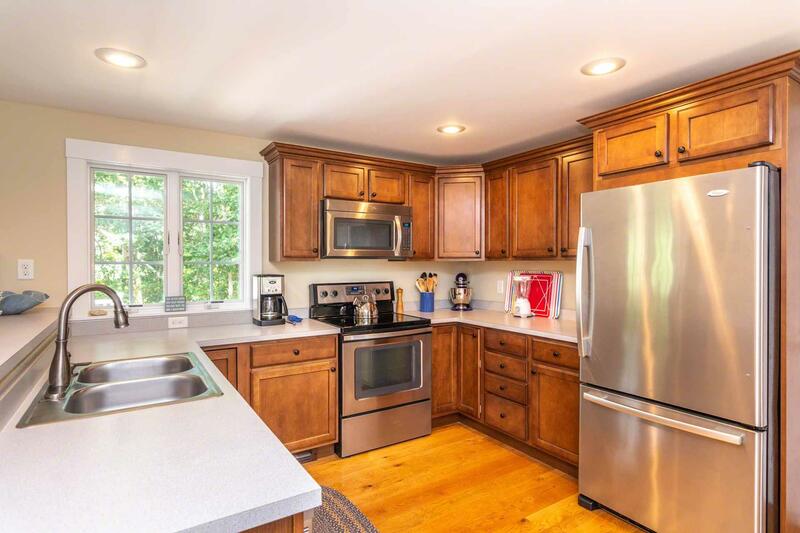 The Gourmet Kitchen has stainless appliances, and a large breakfast bar/prep counter. 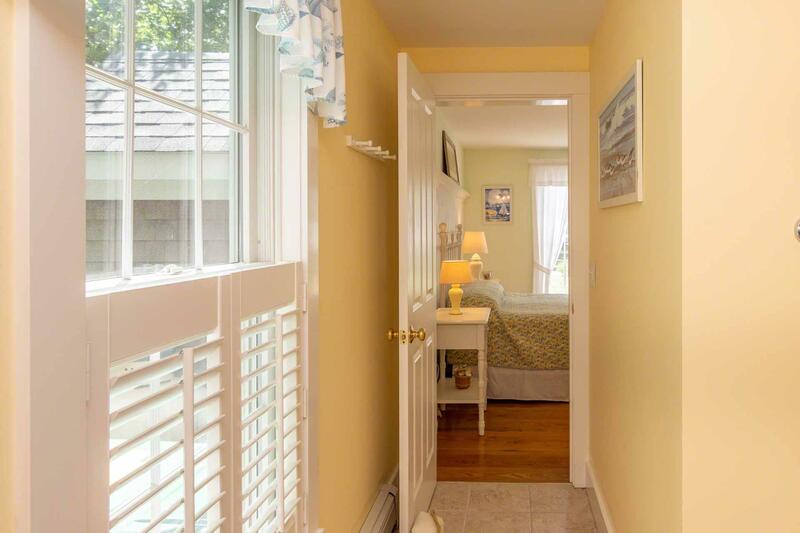 There is a first floor Master Bedroom with en suite bath. 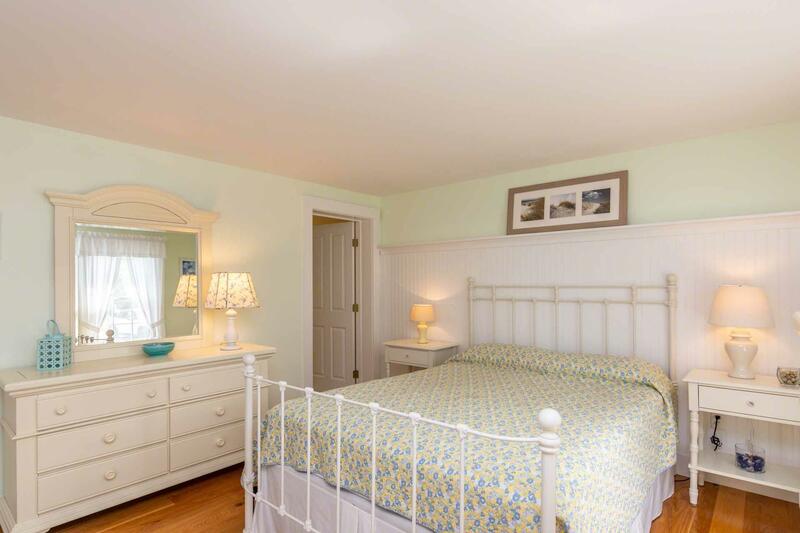 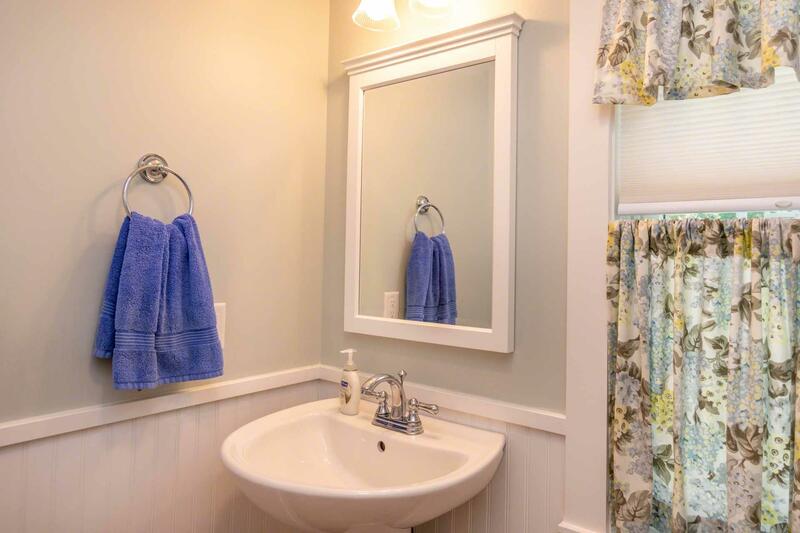 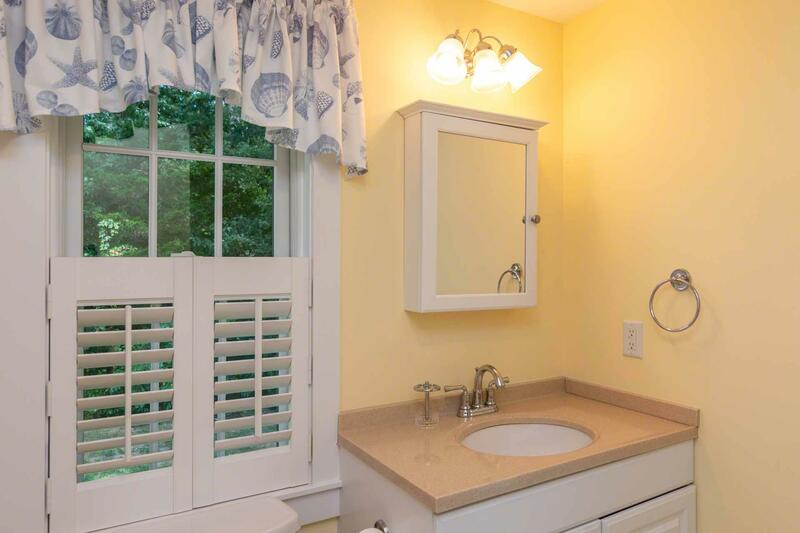 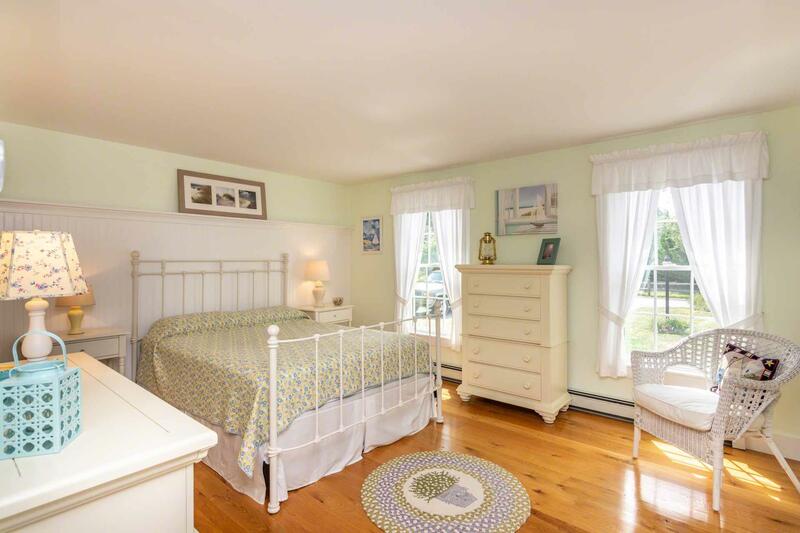 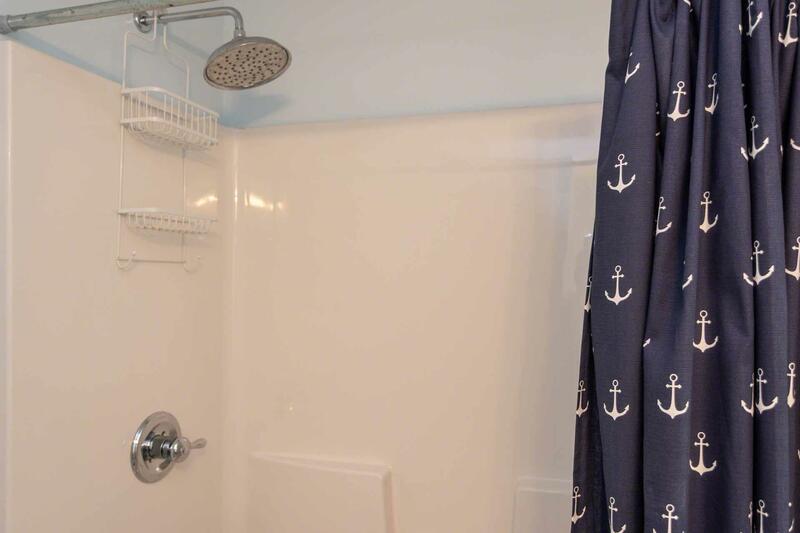 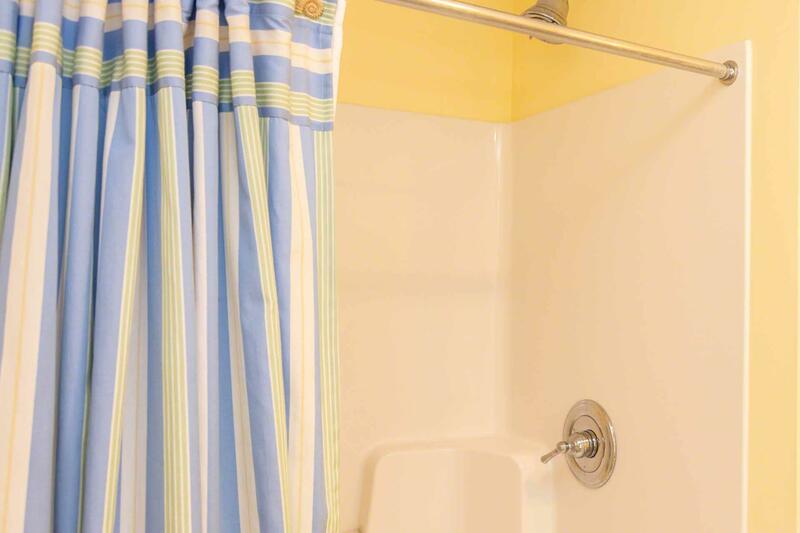 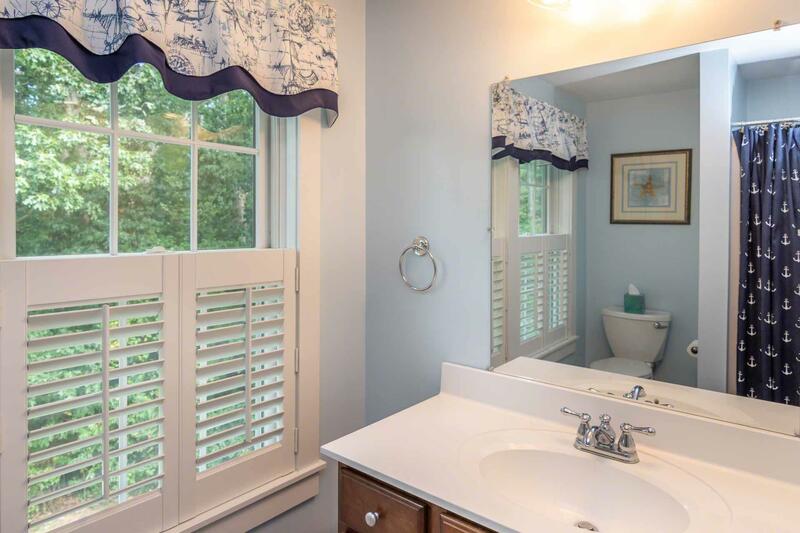 The two other Bedrooms are upstairs and share a full bath. 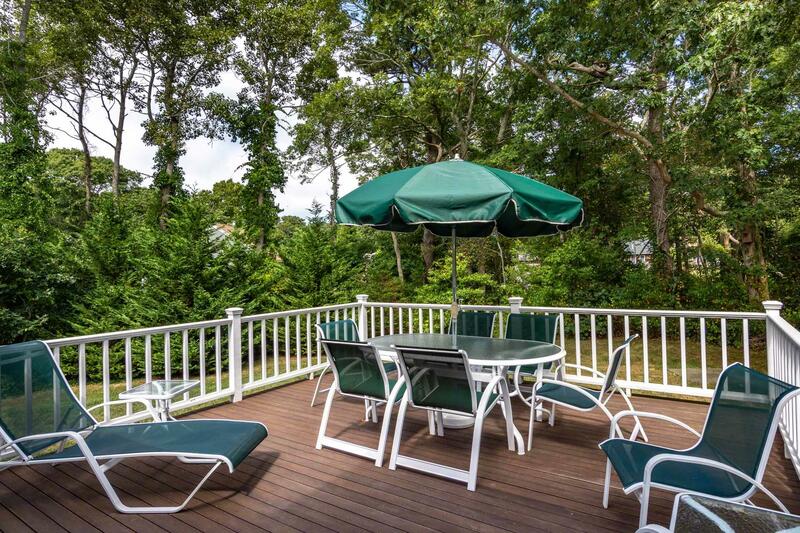 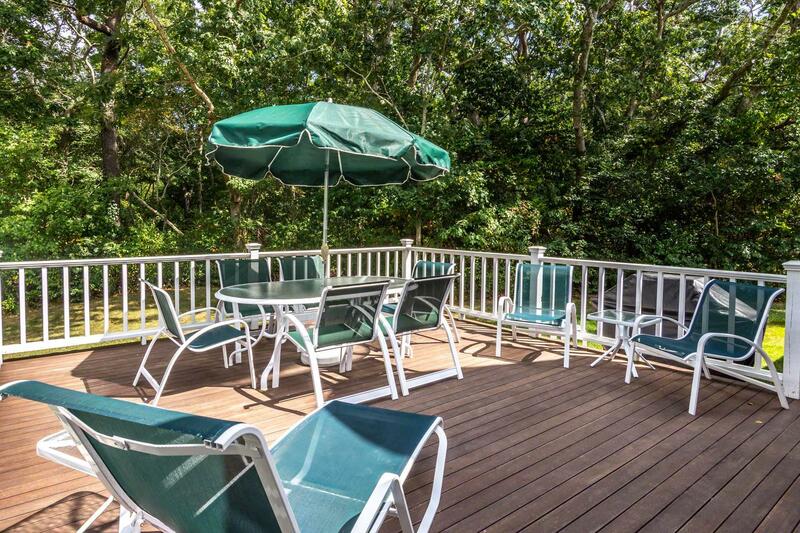 The large back deck opens from the Dining Area. 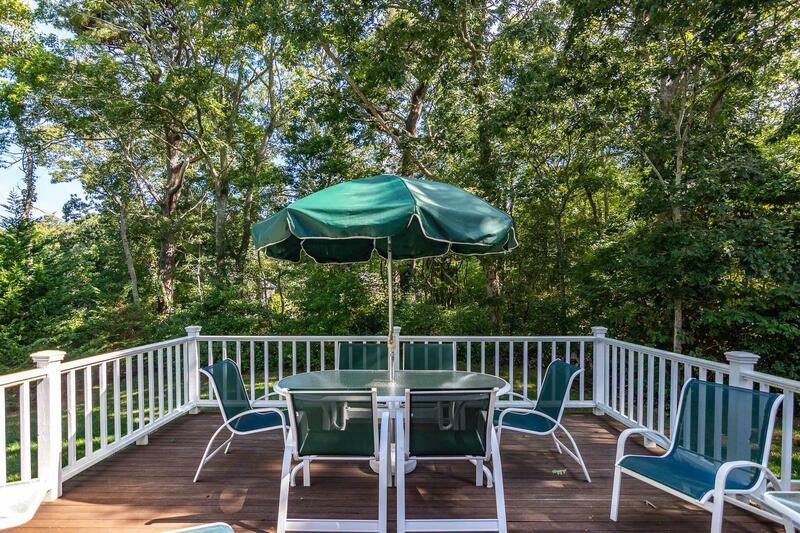 It has dining and lounge areas, and overlooks the backyard and gardens.